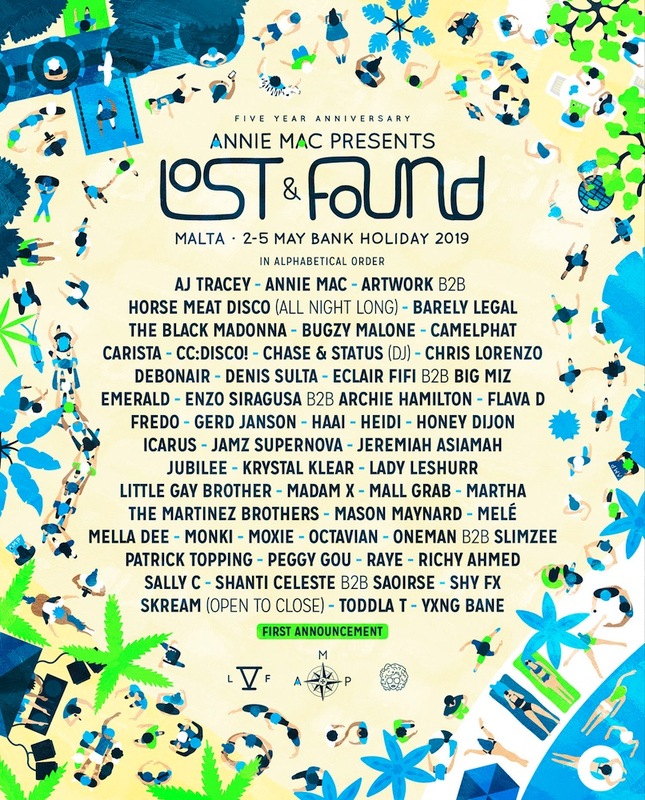 AMP Lost & Found is set to welcome Octavian, The Black Madonna, Peggy Gou and more to Malta next year. The festival is hosted on Malta and overseen by Radio 1's Annie Mac, and regularly attracts some of the biggest names around. Returning in 2019 for its fifth instalment, AMP Lost & Found is set to host sets from Chase & Status, Lady Leshurr, Honey Dijon and many more. London rapper Octavian has lit up 2018, and his set at AMP Lost & Found will be in high demand; The Black Madonna will perform in Malta, as will Peggy Gou, Krystal Klear, Horse Meat Disco, and the mighty AJ Tracey. Tickets go on sale this Friday (November 2nd) - watch a preview video below. AMP Lost & Found runs between May 2nd - 5th.